I don’t know about you but there are some days when I really need something warm and gooey. Skinny cauliflower mac and cheese will be a great balance of healthy fiber and veggies to heavy carbs. Plus, I have some suggestions for lightening it up even further. Watch this video to get inspired to put veggies in to your rich and gooey dinner. You can pull the full recipe from the Betty Crocker website. There are some things I’d change, of course. I would use whole grain pasta. I’d even consider looking into the alternate graid pasta. I’ve enjoyed amaranth in the past. I think rice pasta is a bit gummy. You’ll need to test a small batch. Also, I’d use Velveeta instead of cheddar cheese. It’s lower fat and melts into a more smooth goo. I confess to loving the boxed stuff. You know what would be interesting and fun? Using the Velveeta Mexican for a spicier dish. I probably wouldn’t add in the cayenne if I did use that though. I may add in some cumin to round out the flavor profile. Undercooking the pasta a bit allows it to absorb more of the milk and cheese while it’s baking. Now, I like that. It’s a personal choice. I also like the flavor that the dry mustard adds. I would serve this as a meal with a crisp salad. You definitely want to start making your own salad dressings. I’ll put together a post on some of the easiest ones and then link it to here. The nice thing about blogging is that you can update it as you post more info, right? Anyway, this could make a great vegetarian meal. You could make it vegan by using milk and cheese substitutes. 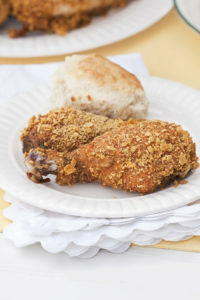 It would also make a good side dish with some ribs or rotisserie chicken. I’m all for as many veggies as possible. It increases your fiber intake and feeling of fullness. So you could do salad or peas or green beans. 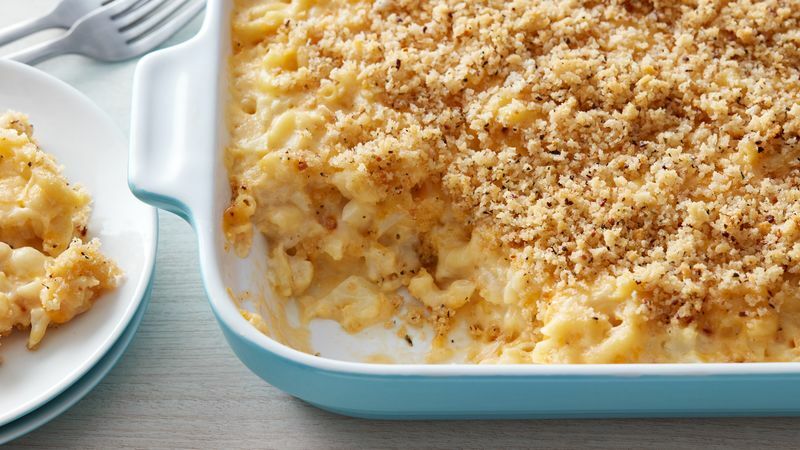 What do you like eating with your mac and cheese?